Urdnot Wrex, Clementine, Elizabeth, Claptrap, HK-47: these video game companions all conjure up distinct memories for the people who met them and played alongside them. Those close-shaves, those funny moments, those last minute saves. These complex pieces of code have transcended their unreality by tapping into our emotions from the very primal to the deeply complex. Which brings us to the games I’m thinking about at the moment. 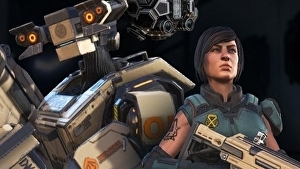 To me, Red Dead Redemption 2 is the closest thing to VR… Read original at Eurogamer — https://www.eurogamer.net/articles/2019-02-09-red-dead-redemption-2-and-xcom-2-have-one-crucial-thing-in-common-companionship URL of source article.